After succesfully kick starting #TheYellowTour in Cape Town, Durban is finally Shane Eagle’s next stop! 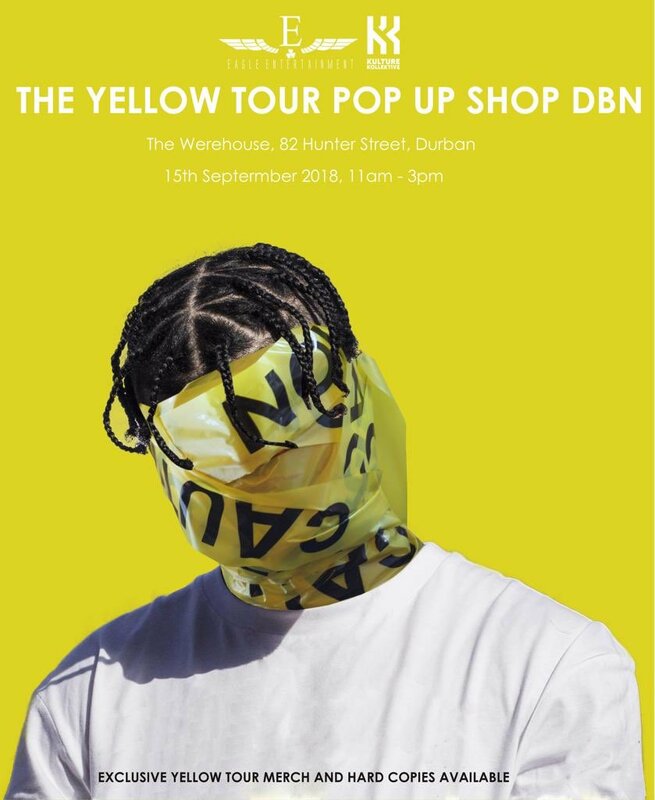 This Saturday Shane Eagle will be coming through to Durban for a Yellow Tour Pop Up experience which will include the selling of merch and YELLOW hard-copies. So if you’ll be around Durban this Sat the make sure you come through and meet Shane plus get yourself some exclusive merch from 11am – 3pm at The Werehouse!